Tomorrow, a week after the one-year anniversary of Billy Graham’s passing, Billy Graham: An Extraordinary Journey will be available on Netflix. Recapping the life of the worldwide evangelist, this 72-minute video reveals how a man followed God’s call and took the Gospel to the ends of the earth. From his humble beginnings as a farm boy to taking the stage in front of millions, viewers can witness how God worked through Billy Graham to transform lives over seven decades of ministry. 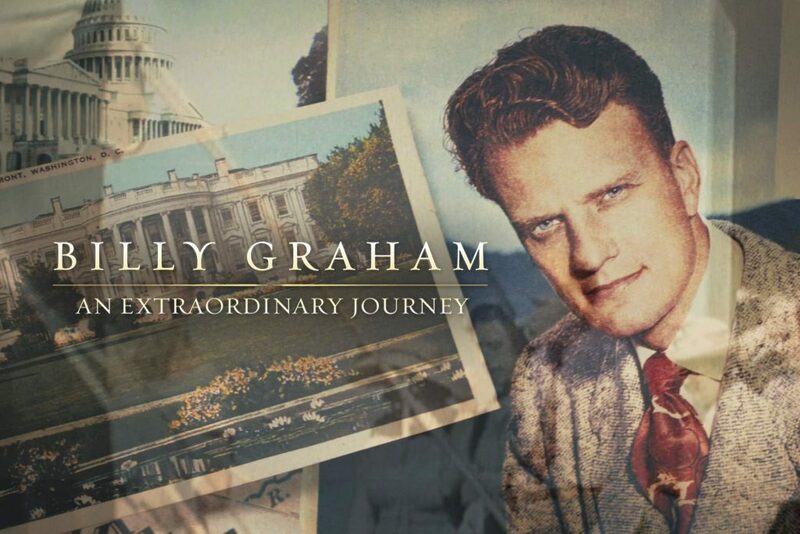 With an inside look at Billy Graham’s spiritual and personal life, this film features rare footage and interviews from presidents, celebrities, family and close friends. In addition, the video covers a variety of historical events that occurred throughout his 99 years, including the Civil Rights Movement and 9/11.